Victoria Peak has had amazing views of the Hong Kong skyline for decades. 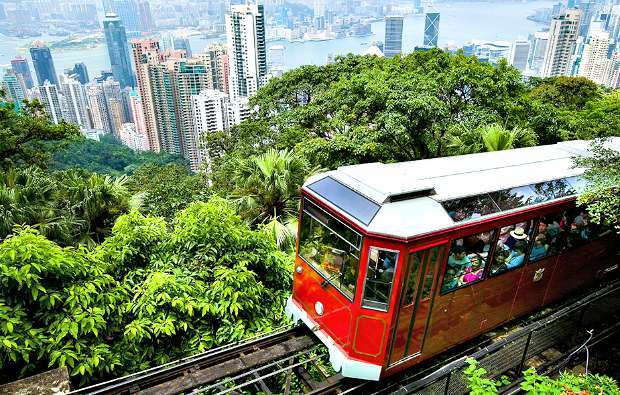 There have been quite a few changes over the years with what’s available at the top, but the simplicity of boarding a tram and heading for an unparalleled view of Hong Kong has been the same since the tramway opened in 1926. You board the tram at a special station on Garden Road – be patient there is sometimes a quite a queue but you’ll be surprised how many people they can get on each tram in one go. At the top there are the viewing areas, walking routes and the iconic Peak Tower. The Peak Tower was modernised a few years ago and is a much nicer place to visit now. It’s here that you’ll find Madame Tussauds and the top of the tower is known as the Sky Terrace viewing gallery. The Peak Tram operates daily from 7am until midnight with trams departing every 10 to 15 minutes. Tickets can be bought at the booths at both the top and the bottom, although there’s a better range of tickets at the booth at the bottom at Garden Road. Tickets for the Peak Tram are HK$40 return for adults and HK$18 return for children (2015 prices). Single tickets are available if you wish to walk down, but it’s a long way! Think carefully about when to go up the peak – just before dusk is good, but try also to avoid hazy days. The Sky Terrace opens Monday to Friday from 10am to 11pm and at weekends from 8am until 11pm. 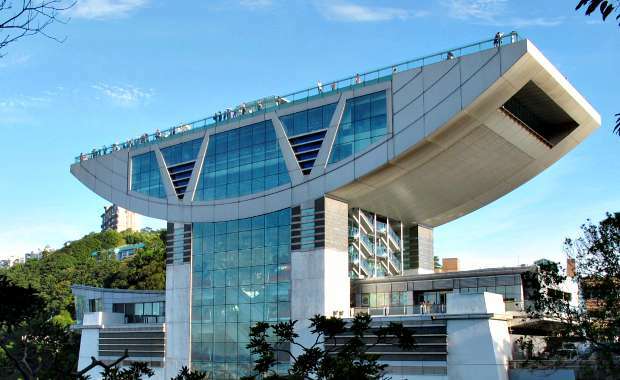 Admission to the Sky Terrace is HK$48 for adults and HK$24 for children (2015 prices) or you can buy a combined ticket with the Peak Tram which saves a few dollars. 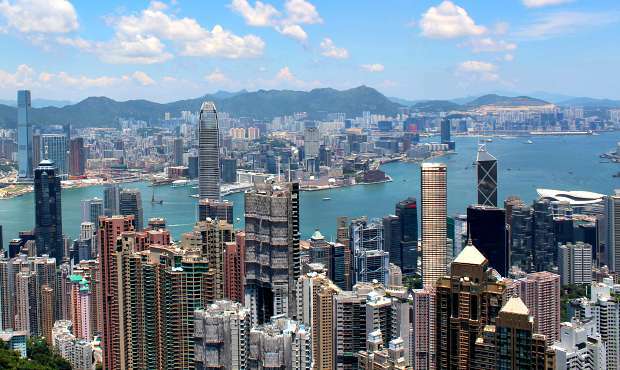 Victoria Peak is also included in the Hong Kong Island Half Day Tour. Address: Victoria Peak (The Peak), Peak Road, Hong Kong, China.